Following the success of his 2017 project “Mass Ave & Lenox”, one of Boston’s most polished rappers had been fairly quiet this year. Aside from a few excellent features (Millyz’ “Peanut Butter Seats”, V Don’s “All Business”, etc. ), Avenue hadn’t released much music recently. That doesn’t mean he wasn’t working though, because he and Deon Chase just teamed up for one of the albums of the year. 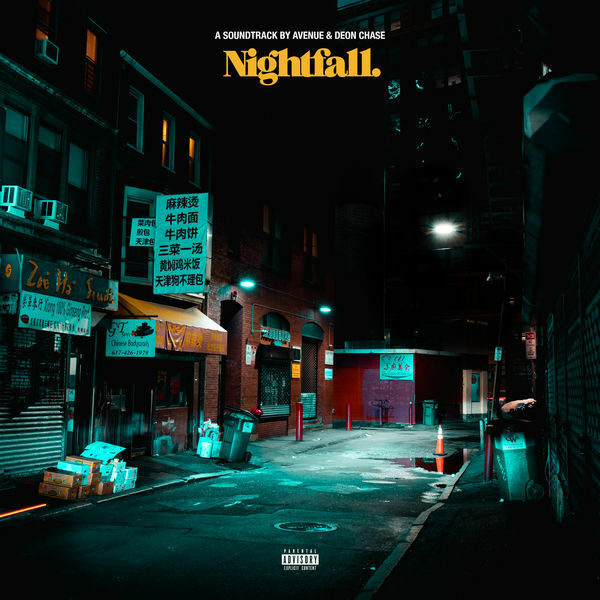 ‘Nightfall’ came out on November 30th, and it’s sure to provide the perfect soundtrack for your cold winter in New England. The album is nine tracks long. All quality, no fillers. Production credits go to Cooking To Kill (Frank The Butcher and The Arcitype) and features come from Hil Holla, Bodega Bamz, and Willie The Kid. Picking the best track is impossible but my personal favorite is “Cherry Camo.” featuring Hil Holla. The smooth piano beat from Frank The Butcher and The Arcitype is complimented perfectly by Avenue’s flow. That one has proven to have a lot of replay value for me so far, but like I said they’re all incredible in their own way. You can stream the album everywhere so I suggest you do so as soon as possible.